Beaterblog: Latch-Key Kids nominated for LeMons Wall of Blame. Latch-Key Kids nominated for LeMons Wall of Blame. The Latch-Key Kids have had an epic LeMons career spanning Detroit, Ohio, Texas and California without finishing lower than fifth. 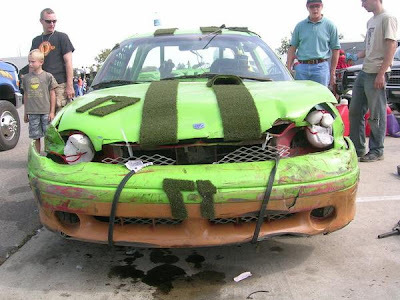 Now you can help us get some of the respect due a Chia-pet themed Plymouth. 10 teams are being inducted in the LeMons Wall of Blame and we've been nominated. Follow the link below and vote Latch-Key in 2010.